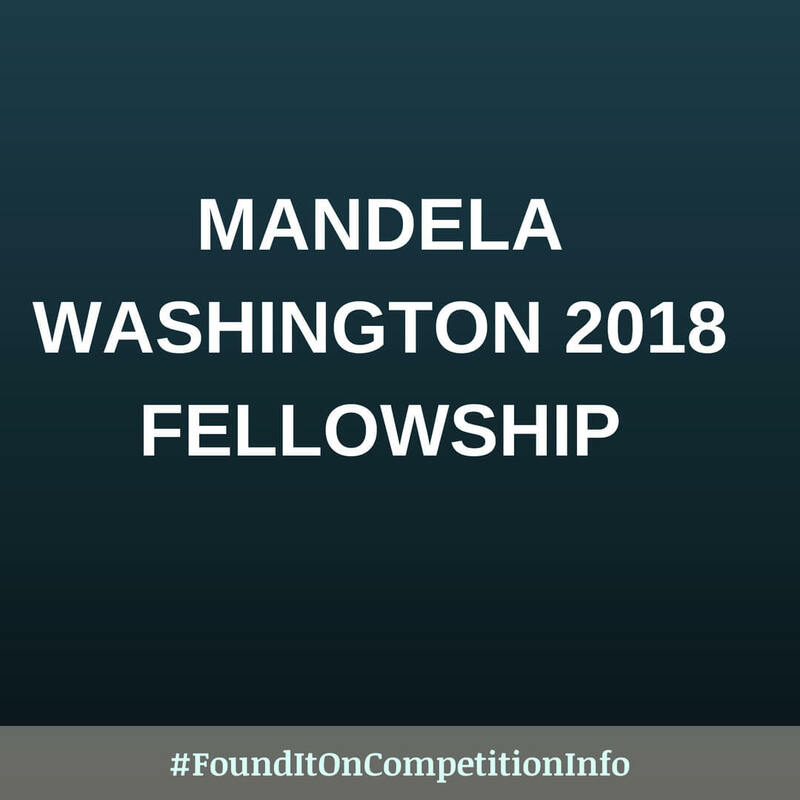 In 2018, the Mandela Washington Fellowship for Young African Leaders will provide 700 outstanding young leaders from Sub-Saharan Africa with the opportunity to hone their skills at a United States college or university with support for professional development after they return home. It is the flagship programme of the Young African Leaders Initiative (YALI). Each Mandela Washington Fellow takes part in a six-week Academic and Leadership Institute at a U.S. college or university in one of three tracks: Business and Entrepreneurship, Civic Leadership, or Public Management. Following the academic component of the Fellowship, the Fellows visit Washington, D.C., for a Summit featuring networking and panel discussions with U.S. leaders from the public, private, and non-profit sectors. One hundred selected Fellows remain in the United States to participate in a six-week Professional Development Experience with U.S. non-governmental organizations, private companies, and governmental agencies that relate to their professional interests and goals. Upon returning to their home countries, Fellows continue to build the skills they have developed during their time in the U.S. through support from U.S. embassies, four Regional Leadership Centers, the YALI Network, and customized programming from the United States Agency for International Development (USAID), the Department of State, and affiliated partners. Through these experiences, select Mandela Washington Fellows have access to ongoing professional development opportunities, mentoring, networking and training, and support for their ideas, businesses, and organizations. Fellows may also apply for their American partners to travel to Africa to continue project-based collaboration through the new Reciprocal Exchange component.